From the den to the great room, these are spaces for living. Make them inviting with fabulous seating options – recliners, sectional sofas and chairs in sumptuous fabrics and leathers – punctuated by the perfect statement piece. 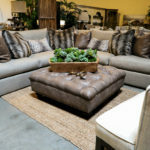 From coffee, console and sofa tables to bookcases, benches and trunks, you’ll find stylish furniture for living rooms in Reno-Tahoe at The Find. If the kitchen is the heart of the home, the family table must be the soul. The Find in Reno is where you’ll find the perfect dining table for your ordinary and extraordinary gatherings. Round out the space with our varied seating options, hutches, buffets and other traditional (and not-so-traditional) pieces. A peaceful retreat, a room to inspire or something in between? Whichever you prefer, our stylish bedroom furniture and décor will strike just the right note for a room that is uniquely you. Pair your fabulous new bed with the perfect mattress. Designed to provide pressure-relieving sleep that relaxes your muscles and nerves for more time in REM sleep, the REM mattress and adjustable base will guarantee a peaceful night’s sleep – and it’s only available in Reno-Tahoe at The Find. Be the first to know about sales and events at The Find! We promise your information won’t be shared with anyone, and our correspondence will be few and far between. Trust us - you want to be on our list. 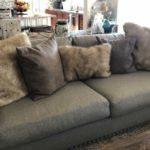 Since 2005, The Find has been northern Nevada’s best-kept secret for stylish furniture and home décor. 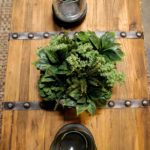 From sectionals and loveseats to dining room tables and bedroom furniture to varied home décor items, The Find in Reno offers a carefully curated selection of amazing pieces to complement your home and style.